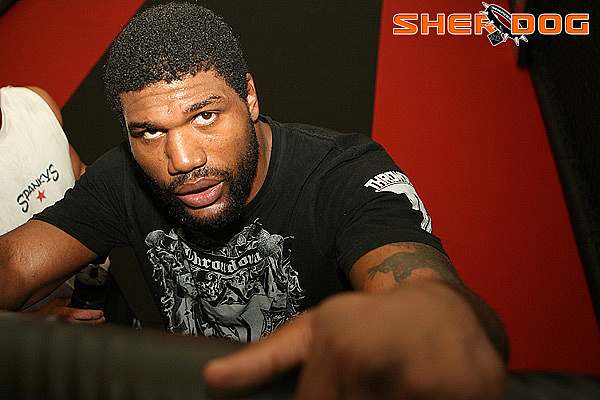 As if the upcoming grudge match between Quinton “Rampage” Jackson and Rashad Evans wasn’t already important enough, the heated rivals will now be battling for a shot at Mauricio “Shogun” Rua’s newly-won UFC light heavyweight title belt. Following Rua’s first-round destruction of former champion Lyoto Machida at UFC 113 on May 8 in Montreal, UFC President Dana White was originally unsure as to who “Shogun” would face in his first title defense. However White confirmed that the winner of Jackson-Evans will indeed get another crack at regaining 205-pound gold later this year during a teleconference promoting UFC 114 “Rampage vs. Evans” on Tuesday. A shot at Rua would be a chance for revenge for Jackson. The two fighters clashed under Pride rules in April 2005, with Rua earning a brutal stoppage win in under five minutes. It was one of Jackson’s worst losses.